LEADon University® is owned by LEADon Inc., a California corporation, with its principal business address at P.O. Box 503377, San Diego, CA USA 92150. LEADon University® is a trademark of LEADon, Inc.
By using any of the LEADon University Services, or by creating a user account, you signify your acceptance of these Payment Terms, as they may be amended by LEADon University from time to time in its sole discretion. You may only use the LEADon University Services and/or open an account if your acceptance of these Payment Terms is not prohibited by applicable law. YOU REPRESENT THAT YOU ARE AT LEAST 18 YEARS OLD. If you are younger than 18 years old, you must get permission from a parent or guardian to open an account and your parent or guardian must agree to these Payment Terms. If you do not agree to these Payment Terms, you will not be able to subscribe to the LEADon University Services, and your only remedy is to stop using the LEADon University Services. These Payment Terms are subject to change without prior written notice at any time, in LEADon University’s sole discretion, and, once made available on the LEADon University Site, such changes will apply to any existing or new subscription. You will be deemed to have accepted these Payment Terms, as amended, if you continue to use the LEADon University Services after any amendments are posted on the LEADon University Site. LEADon University accepts various forms of payment, as set forth on the LEADon University Site. By subscribing for the LEADon University Services, you authorize LEADon University, or its designated payment processor, to charge the account you specify for the purchase amount. If LEADon University does not receive payment from your designated payment account, you agree to pay all amounts due upon demand by LEADon University. All payments are to be made in the currency in which your order is placed. For credit card purchases, LEADon University may seek authorization of your credit card or other payment format to validate your ability to charge the fees to access the applicable product or services prior to the first purchase. The authorization amount is typically $1, but may vary. This authorization is not a charge but may reduce your available credit by the authorization amount until your bank’s next processing cycle. By subscribing to the LEADon University Services (and one of the corresponding LEADon University subscription tiers), you authorize LEADon University to charge the applicable recurring subscription fees to your designated billing payment method. When you initially subscribe to the LEADon University Services, you will be charged immediately for the initial term of the subscription at the then-current fee for the applicable subscription tier. Thereafter, you will be charged in advance for the subsequent recurring terms of the subscription service on your applicable billing date (the “Charge Date”) (e.g., on a particular date each month for a monthly subscription). If, however, the activation date of your subscription is on the 29th, 30th or 31st day of a month, and your Charge Date does not exist in a particular month, your Charge Date for that particular term will be on the last day of the month in which your Billing Date would otherwise be. Each charge on the applicable Charge Date applies to the subscription period immediately following the Charge Date (e.g., a charge for a monthly subscription applies to the month immediately following the Charge Date). Your account may be deactivated without notice to you if payment is past due, regardless of the amount. 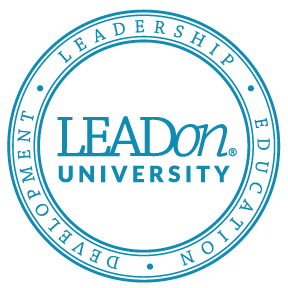 If LEADon University deactivates your account, you may lose all of your collection data, history and other account usage information. You agree to pay any outstanding balance in full within thirty (30) days of cancellation or termination of your subscription. You may update any of your billing information (including a change to your desired billing payment method) through your account settings on the LEADon University Site. If you fail to pay for 30 days, the subscription and all contents of your membership will be forfeited. IMPORTANT: Your subscription is for the individual user alone. The user cannot share the content in any form with anyone or they will violate their subscription. It is not to be used with anyone or group other than the user. LEADon will track devices used to access your account to ensure that it is not shared. Subscription fees for each respective subscription tier are as set forth on the LEADon University Site or on or through a given Service Application. In some territories, LEADon University will be required to charge, and you agree to pay, applicable sales, use and other taxes in connection with your subscription to the LEADon University Services. For assistance with billing questions or other order inquiries, please refer to LEADon University’s help pages.